Slots are probably one of the most popular casino games out there. One of the reasons why they gained so much popularity is due to their diversity. There are millions of slot games to choose from in online casinos, exploring different topics that appeal to different people. They range from games inspired by Hollywood movies to games inspired by outdoor sports, and many others. If you're a fisherman and you enjoy playing casino games, there is a number of slots that you can play on days when you cannot get out on the water. Fishing Frenzy is one of them, and it is a definite must-try for a lot of reasons, but mostly because it's fun and well thought out. Let's analyze it and see why it is one of the best fishing-themed slots out there. Fishing Frenzy is inspired by the big blue ocean teeming with life. If you decide to play this game, you will be taken out on a beautiful boat where you can start fishing for the Wilds, Scatters, and other valuable symbols. At times, if you get carried away, you might easily be under the impression that you are really outside. While playing the game, you can see a number of things that will remind you of your days on the water. Some of them include fishing rods, hooks, different types of fish, boats, and so on. It's a whole fishing package, and all it needs is an enthusiastic fisherman to start spinning the reels. The Fishing Frenzy slot is straightforward to play. Even if you haven't played any slot games before, you will easily find your way around and learn the ropes in a matter of minutes. If you have experience with other slot games, then you can start spinning instantly. This slot is created by Blueprint Gaming and it has a 5x3 layout. That means that it has five reels with three symbols placed vertically on each of them. Moreover, it has ten paylines, so there are ten unique ways in which you can combine high and low symbols to make a win. A good thing about Fishing Frenzy is that players can place very small bets or very large bets, depending on their preferred style of play. The bets range from 0.10 to 400.00 units, so feel free to choose the perfect bet size for yourself. Finally, this game also features autoplay mode, which means that you can just kick back and wait for the big catch, just like you would while fishing in real life. Other notable highlights in the Fishing Frenzy game are the symbols and bonus features that you can see while playing. All of them are related to the topic of the slot, so the experience is more authentic and it's easy to spend hours playing. The symbols are split into two groups: low-paying and high-paying ones. The high-paying symbols are related to the topic and include different types of fish, a fishing rod, a lifebuoy, some baits, and a heron. Low-paying symbols are usually unrelated to the topic, but that's not the case here. They are represented by playing cards symbols 10, J, Q, K, and A, but these are stylized so as to resemble fish. The Scatter symbol and the Wild symbol are there as well, which means there are some extras to win. Part of the reason why we believe Fishing Frenzy is the best slot game for fishermen is that it offers a great bonus feature. A good slot game cannot be imagined without a chance to win a large number of free spins. In Fishing Frenzy, if you are lucky enough to land three, four, or five Scatter boat symbols, you will be rewarded with 10, 15, or 20 free spins, respectively. All you need to do then is put your fishing hat on (if you haven't already) and wait for some coins to get hooked. To make everything even better, a fisherman symbol will appear during this free game and catch the fish on the screen to earn you an additional prize. As you can see, Fishing Frenzy has a lot of great aspects that make it worth trying out. 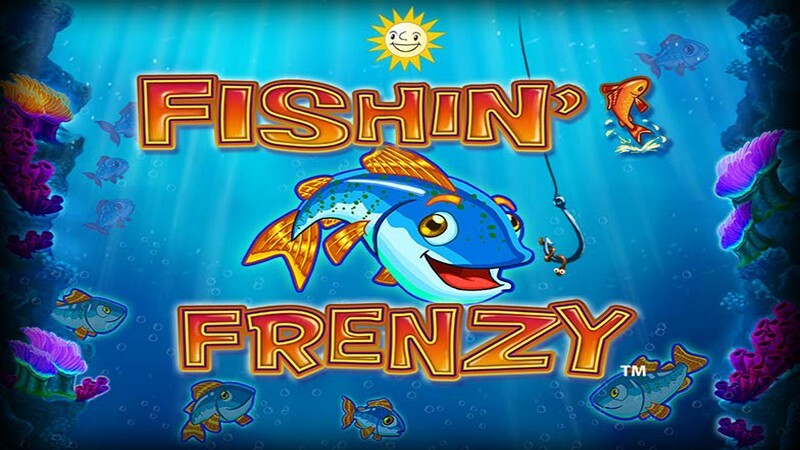 If fishing is your favorite hobby but, for some reason, you cannot get your fishing line wet right now, the Fishing Frenzy slot game is the next best thing.